Will Water Power The Future? What is the water power of the future? Everybody’s talking about clean and renewable sources of energy. You have probably seen plenty of pitches for solar, wind, natural gas, and even organic sources of energy. However, this discussion rarely involves the one source of sustainable power that already has established itself. 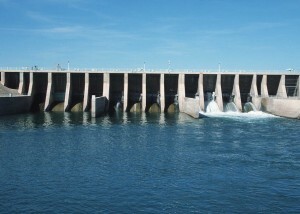 For example, Hoover Dam supplies energy to millions of homes, and it has been doing this job for years. Maybe the problem is that hydro-electric power is not new. Ancient Romans figured out how to harness the power of water way back in ancient times. Romans used water to power mills that turned harvested grain into usable flour. There is evidence that Welsh miners figured out how to use the power of water to extra valuable minerals out of the earth two thousand years ago too. The problems with giant dams like Hoover Dam and the Grand Coulee Dam are that they they have a large environmental impact when they are built and require a huge investment. One suggestion that has been discussed is the construction of micro-hydro electric projects. Even a few gallons of water a minute that only drop a couple of feet can produce 100 KW of power, and can be pushed a couple of miles. This is a local way to replace the grid for a few homes anyway. If the stream gets diverted back to its original course, absolutely nothing has to be lost either. It’s also a cheap way to start producing clean and renewable energy. Installations might just cost $1,000, and that’s a lot cheaper than the cost of installing wind or solar power stations that are large enough to do much good. Maybe micro-hydro electric power is the water power of the future.